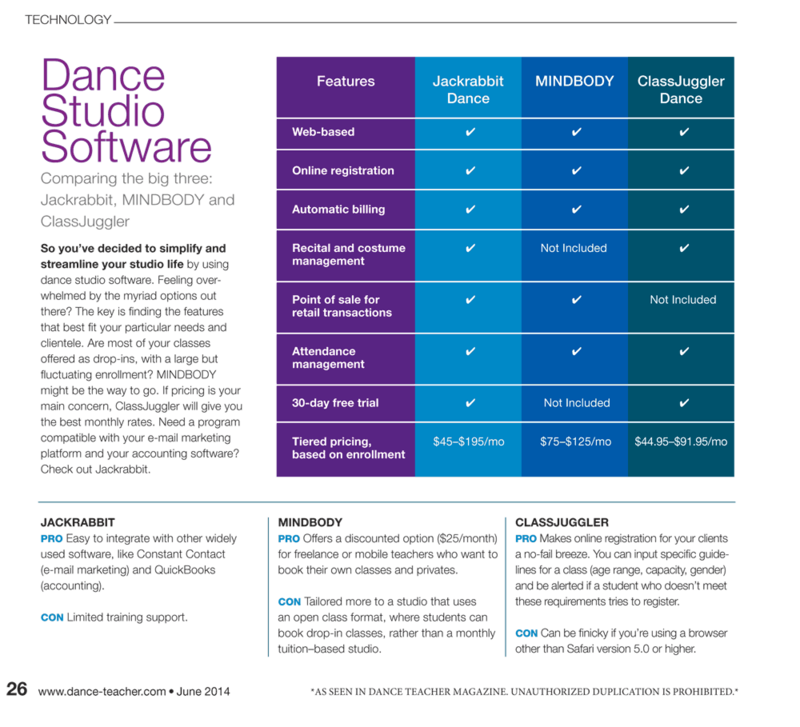 We were excited to be featured in a review in the June issue of Dance Teacher Magazine highlighting their picks for the top three software products for managing dance studios. The article was titled "Comparing the Big Three: Jackrabbit, MINDBODY, and ClassJuggler." ClassJuggler was declared the best value for your money of the big three software products. 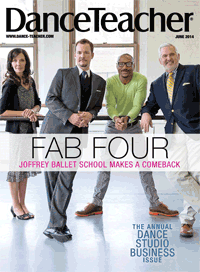 The article went on to state that a major pro of ClassJuggler is that it "Makes online registration for your clients a no-fail breeze..."
We hear the same thing from so many of our new and long-time clients, but see for yourself in Dance Teacher Magazine's take on the "Big Three."